Asparagus is not a common vegetable that I will cook at home. The only other Asparagus dish that I previously prepared with a recipe was the Cheesy Bacon Wrapped Asparagus which I paired with steak. Somehow when I cook asparagus, I always pair them with some western main courses. Last night when I served this stir-fried asparagus dish on our dinner table, my son was fascinated. 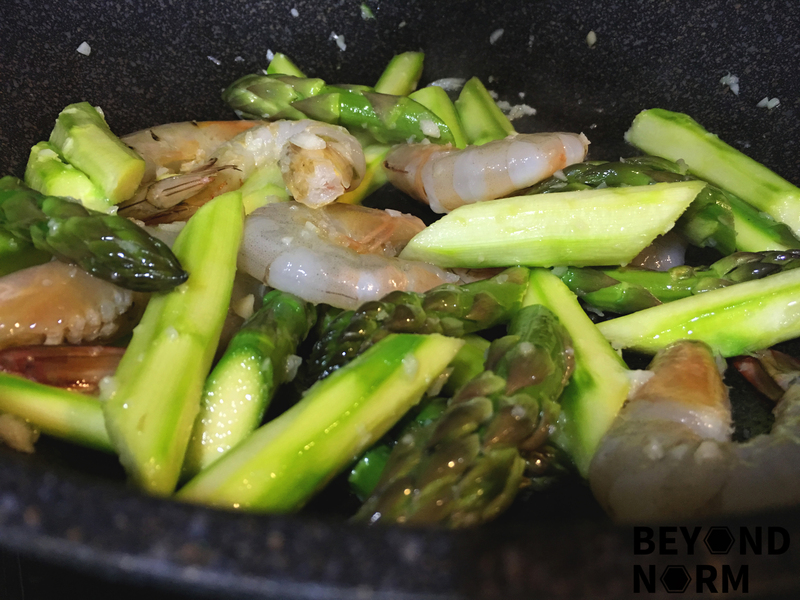 He commented that it is quite unusual and interesting to cook an Asian dish with asparagus. A big thumb up was given by him and my family. The reason why asparagus is not a common sight in my home is, it is not easy to choose tender ones. Fortunately, the pack which I bought was great. 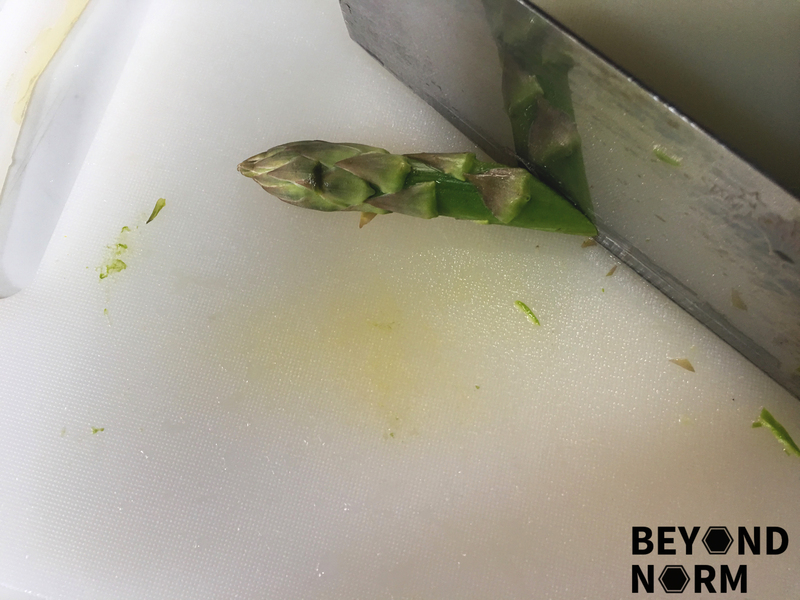 However, to be on the safe side, I peel off the outer skin of the stems using a peeler so that when you sink your teeth into the asparagus, it does not have this fibrous feel. Cut each spear into 3 diagonal pieces. Peel the skin of the stems with a peeler. However, you may wish to peel off the skin of the stems first, then cut each spear into 3 diagonal pieces. Set aside. Combine the light soy sauce and sugar together. Set aside. 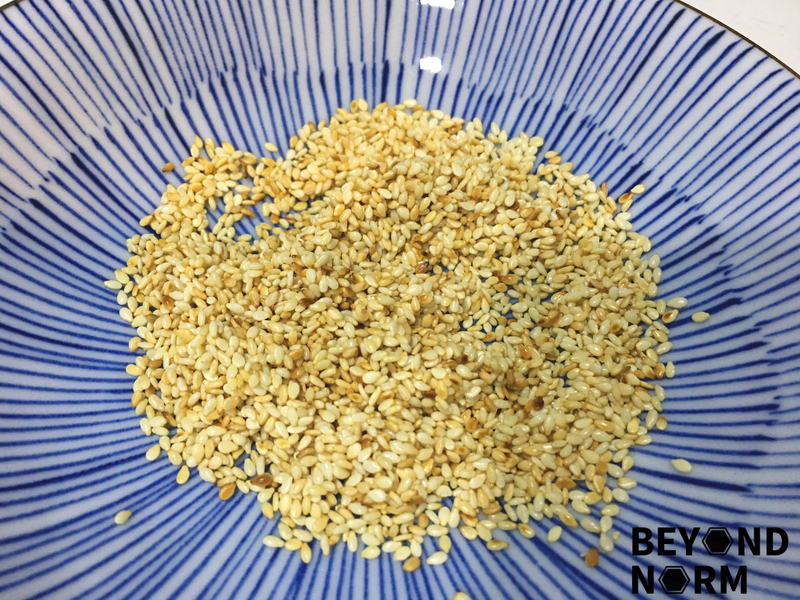 Toast the sesame seeds till light brown and fragrant. Remove and set aside. Heat up pan and add oil. Add in the cut asparagus and stir for about 2 minutes. 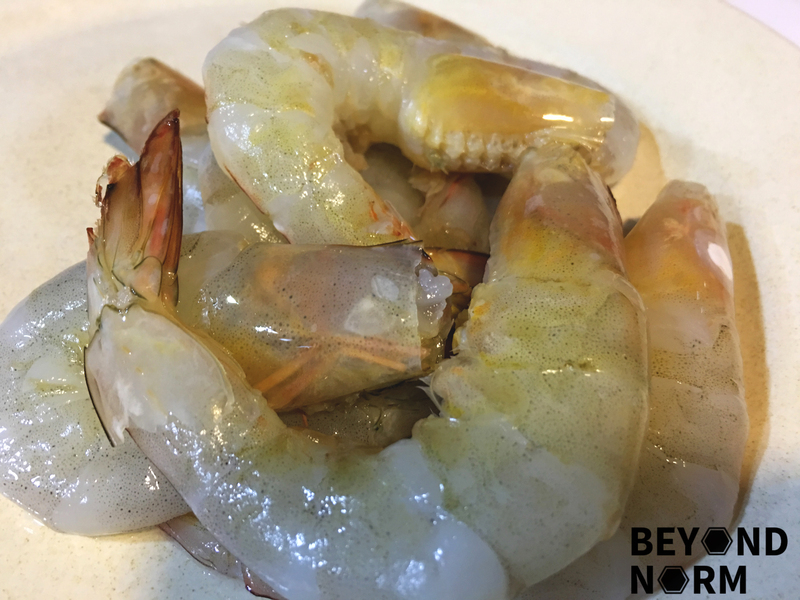 Stir in the shelled prawns (leaving heads and tails) for another 2 minutes. Add in the sauce and combine well. Dish out on a serving plate and sprinkle generously with the toasted sesame seed. Serve immediately.